The Hawaii Department of Transportation continues to battle highway cracking and other fallout from the ongoing eruption of the Kilauea Volcano. Those efforts include placing steel plates fitted with insulated material and/or heat-resistant concrete pads over roadway cracks along the Keaau-Pahoa Road — also known as Highway 130 — caused by volcanic activity and related earthquakes, as well as investigating the installation of electronic monitors near several such fissures to monitor heat levels and gas emissions as sulfur dioxide (SO2) is emitting from the cracks. HDOT said it continues to work with federal, state, and county partners to prepare alternate routes for the areas affected by the Kilauea Volcano East Rift Zone Eruption. Planning for alternative routes includes the removal of one mile of solidified lava from Chain of Craters Road and the potential use of “lava bridge” technology on Highway 130. The lava bridge concept would involve the use of insulated mats that are heat resistant to 2000-degrees Fahrenheit to maintain access to Highway 130 as long as possible. The agency also is establishing alternates to Highway 130, including Highway 137 or Old Government Beach Road (a mostly “unimproved” gravel road), Kahakai Boulevard in Hawaiian Beaches and Makuu Drive in Hawaiian Paradise Park are open and accessible to local traffic. Hawaii Gov. David Ige also recently gained approval from the U.S. Department of Defense to form a “dual-status command” dubbed Joint Task Force 50 under Brig. Gen. Kenneth Hara, deputy adjutant general and commander of the Hawaii Army National Guard. That task force establishes a “clear chain of command,” in Gov. Ige's words, to “maintain operational unity” between state and federal efforts to the Kilauea volcanic eruption. For example, Gen. Hara now has the authority to command both the National Guard and active military forces to plan for and be ready to execute those plans should roadways in Puna be lost to lava and a mass air evacuation is necessary, Gov. Ige said. 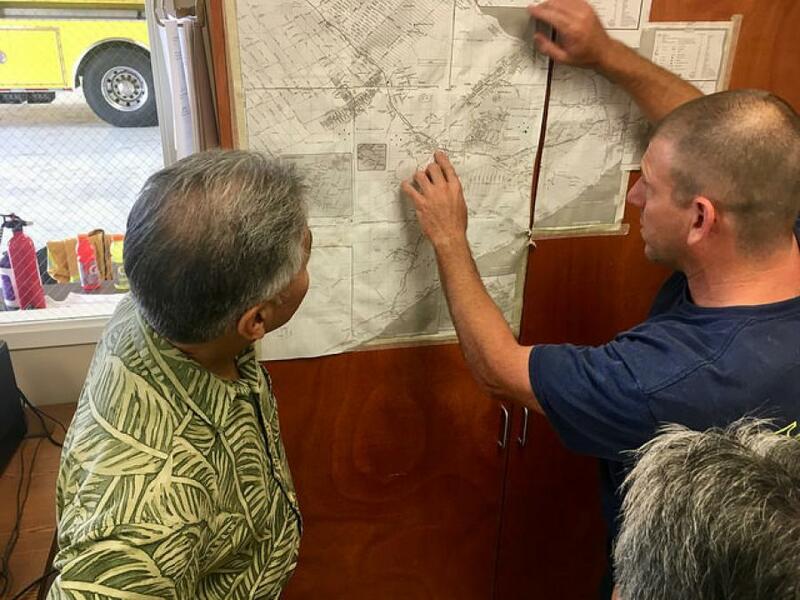 A 22-person JTF advance team was deployed to the Keaukaha Military Reservation in Hilo on May 14 to begin planning for potential evacuation and rescue missions.